Study welding in New Zealand! 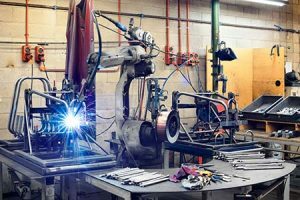 As we have employers and recruiting companies actively seeking qualified and/or experienced welders and metal fabricators, we recommend studying welding as a good option for anyone interested in working in the trades. Graduates from this course are practically-trained and are skilled practitioners on completion of the programme. As such, the employment rate on graduation is close to 100% for welding graduates from this school. Recognition of Prior Learning (RPL) process where overseas qualifications and training can be recognised as equivalent to the New Zealand National Certificate standards. As we have employers and recruiting companies actively seeking qualified and/or experienced welders and metal fabricators, we recommend this as a good option for anyone interested in working in the trades. Employers are looking for candidates with good English skills to meet work safety standards and New Zealand qualified candidates are ideal. A full-year enrolment is NZD$18500.00 for both Level 3 and Level 4 National Certificates. Internationally-recognised trade tickets in welding can also be obtained while completing the course. If interested, please enquire directly with the Welding Academy and make reference to New Zealand Shores.